I finished the temp job yesterday. I made good money, enough so that I shouldn’t have to worry about my finances for the rest of the summer, but I’m happy to be returning to my normal life. My garbage hunting has been limited to checking out my current “can’t miss” producer locations. I went back to where I found the Nazi passport but found nothing more. However, when I last posted I hadn’t actually had time to fully look through all the bags. A thorough inspection revealed a few more notable items. 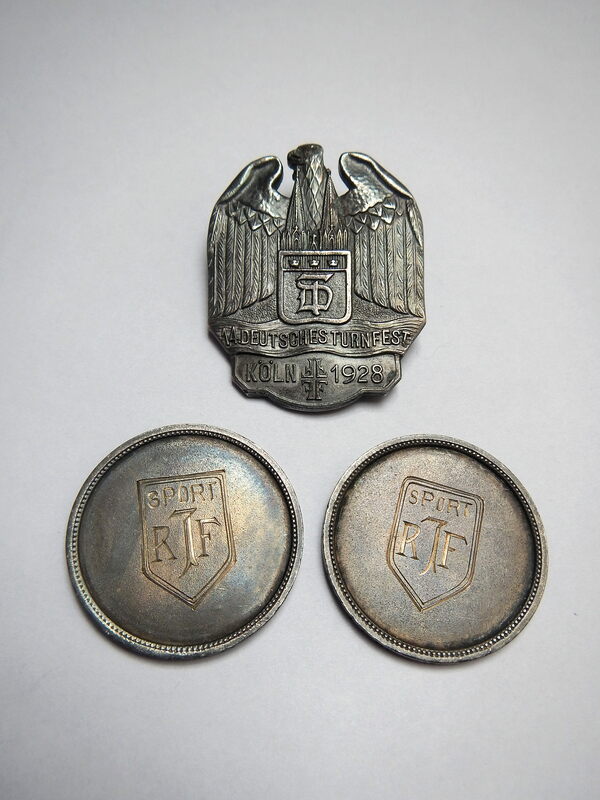 At the top is a really cool pin made for the 1928 Turnfest in Germany. I can’t seem to figure out exactly what a Turnfest is, let me know if you do! One similar to it sold for 25$ on Ebay, though if I set a price (as opposed to going with an auction) I could get more for it. 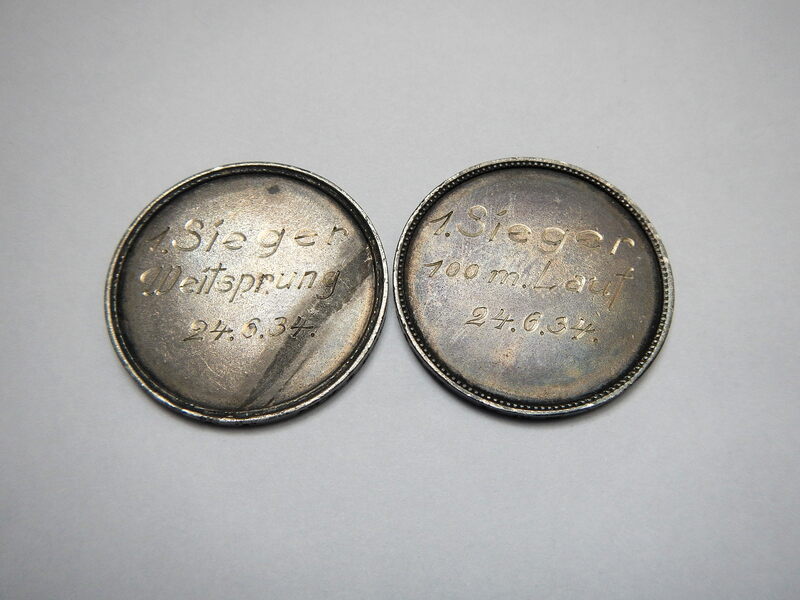 At bottom are two coins or medallions that were given at some kind of sporting event in 1934. One was given for the Weitsprung (long jump) and the other for the 100m lauf (100m dash). They look to be at least silver plate though they could possibly be sterling as well. 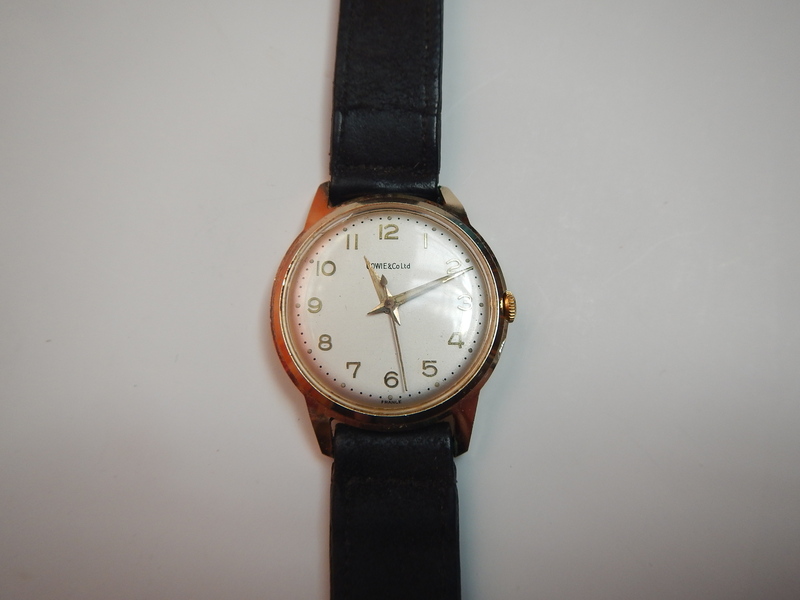 This watch is a wind-up and seems to still run perfectly fine. I’m not sure the exact history of these cards but they’re certainly interesting. One of my room-mates translated them which was quite helpful. 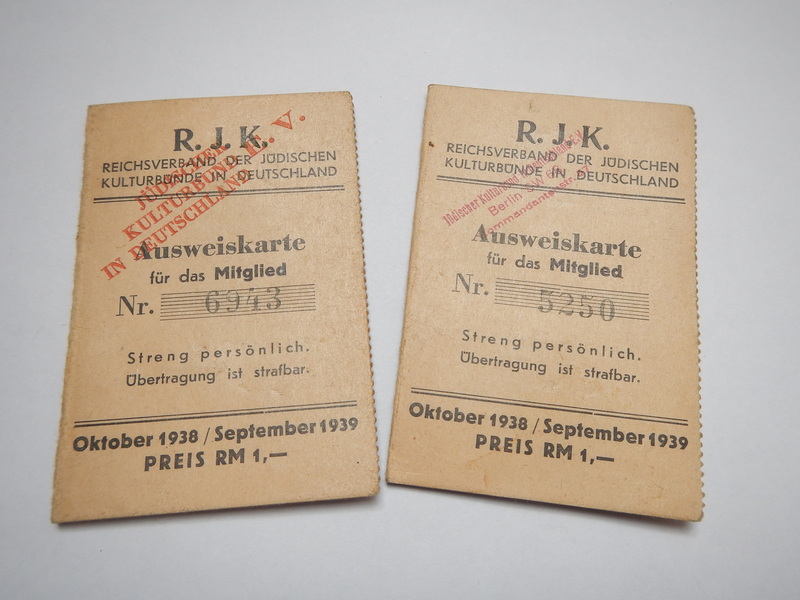 They were issued by the Reichsverband der Judischen Kulturbunde in Deutscheland (somethjing like the National Jewish Culture Association of Germany in English) and would have been used in conjunction with a ticket to access certain cultural events like concerts, theatre, films, lectures and so on. They were issued for the year starting in October 1938. 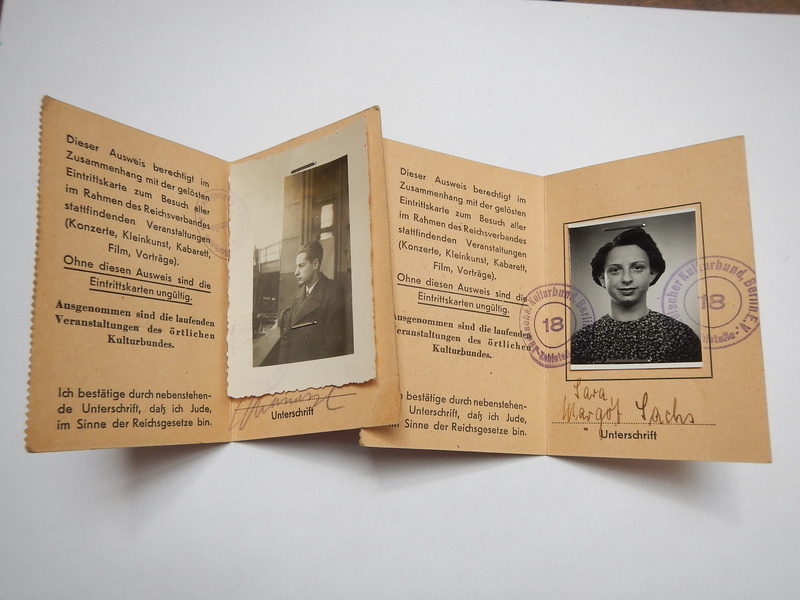 The bottom says: “I confirm through the accompanying signature that I am Jewish in accordance with Reich law.” By 1938 the persecution and segregation of the Jews was fairly intense and I’d guess these cards may have been a requirement for Jewish people wishing to attend Jewish events. I’d like to find out more, so again if you have any knowledge of the history here let us know. 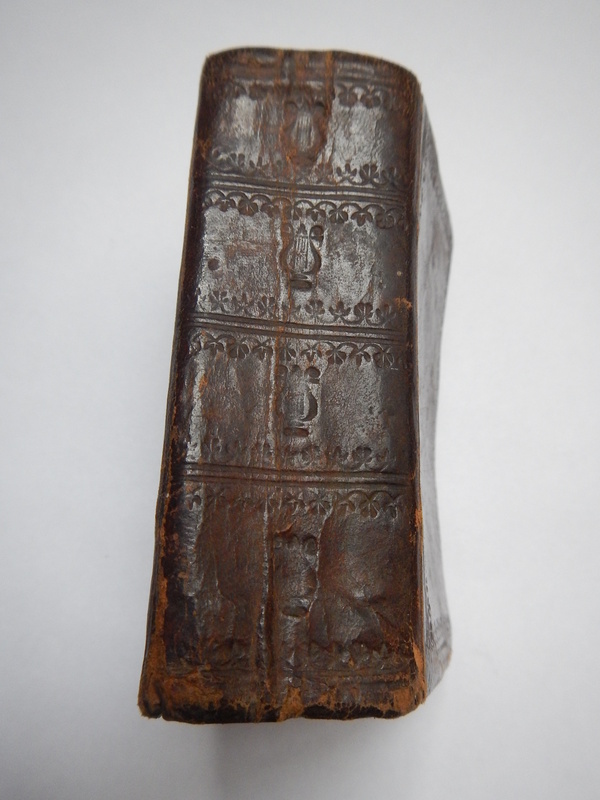 This tiny old Hebrew book, bound in leather was also a nice find. 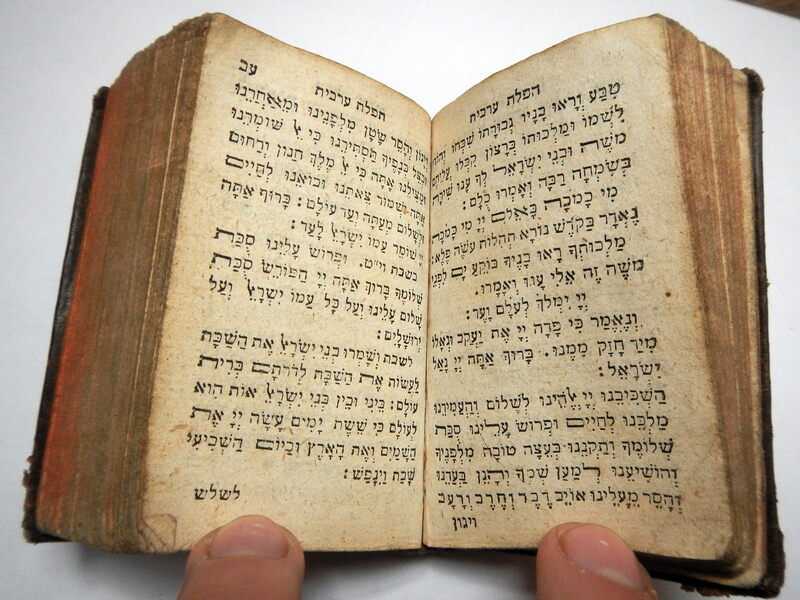 I had a friend who reads Hebrew tell me what it was all about. 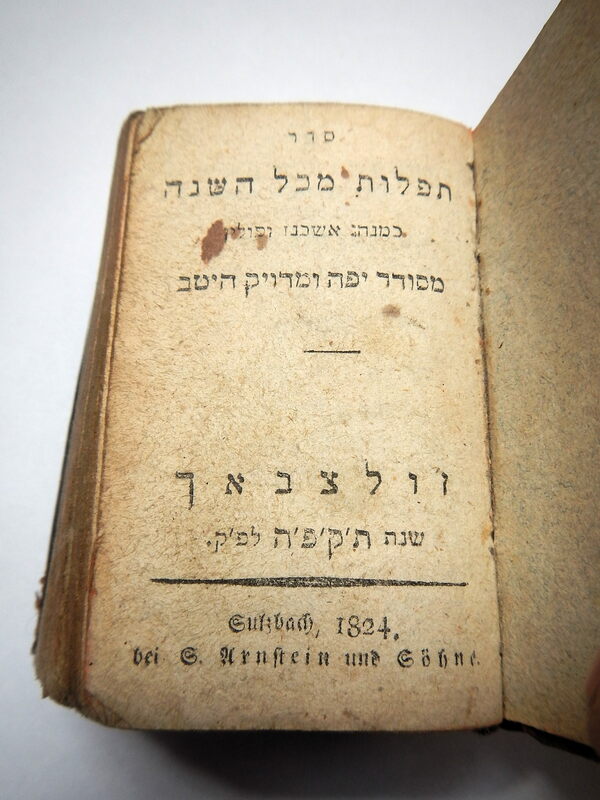 It apparently features a collection of prayers for the year 1824 and was published somewhere in Germany. 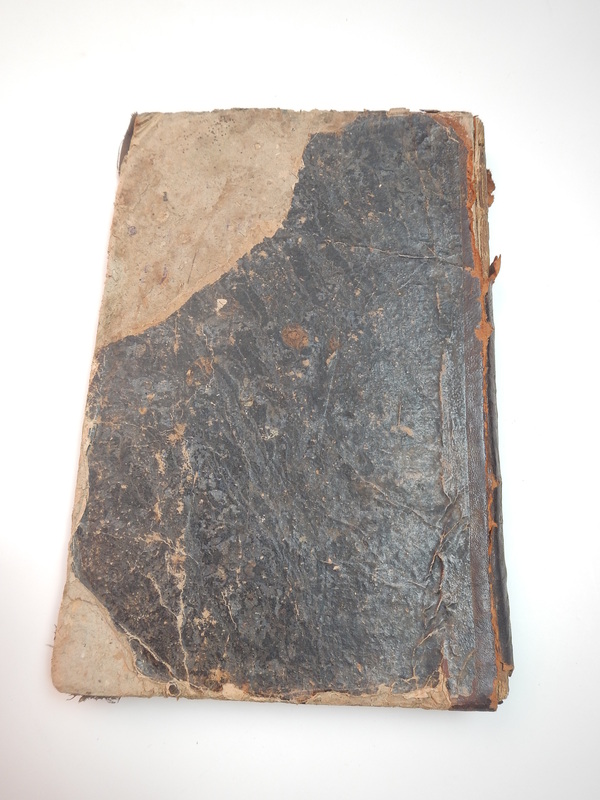 It’s one of the oldest books I’ve ever found and it’s still in excellent condition. There was lots of old travel-related ephemera which included many 1970s-era pamphlets. 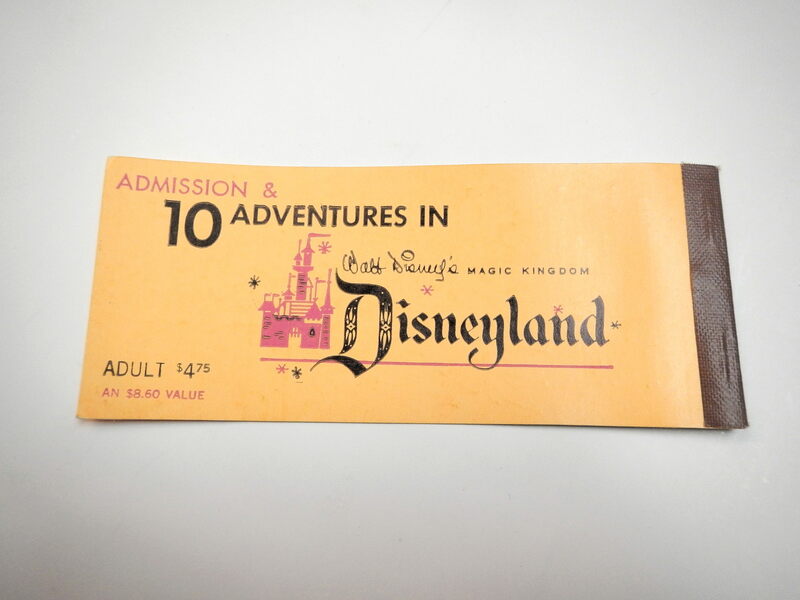 There was also the remains of a ticket to Disneyland that looks to be from the 1950s. 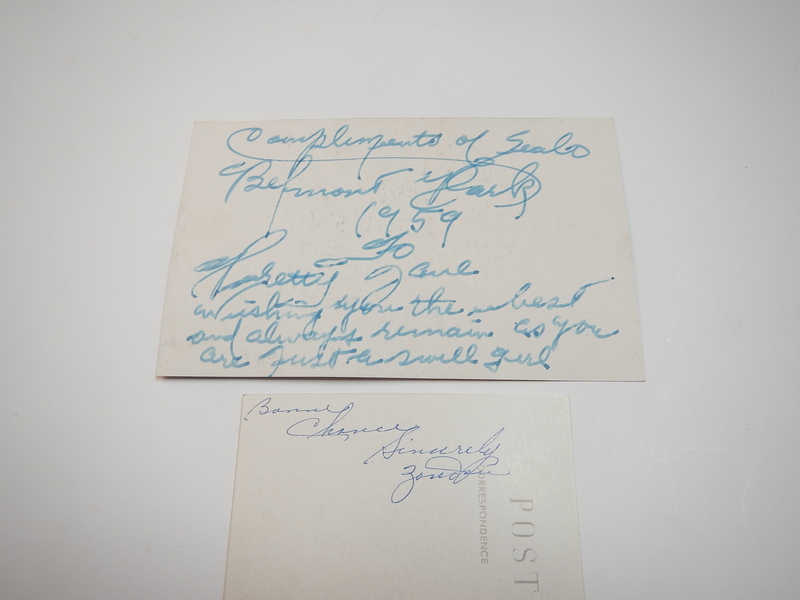 A person apparently visited a “freak show” as a child in the 1950s and got the signatures of various performers. On the left is man with no legs. There’s a signature on the back (see below) I can’t make out what it says. In the middle is Ray Johnson, a very tall man who stood at 8’1″. “Sealo” at right is the most famous and the only one with his own wikipedia page. He was born with a condition called phocomelia which caused him to have seal-like arms. He worked in freak shows for 35 years. It’s crazy to think freak shows were once such a big part of our culture, or that someone went their whole life by a name like Sealo. There are collectors for this kind of stuff (as there are for almost anything). 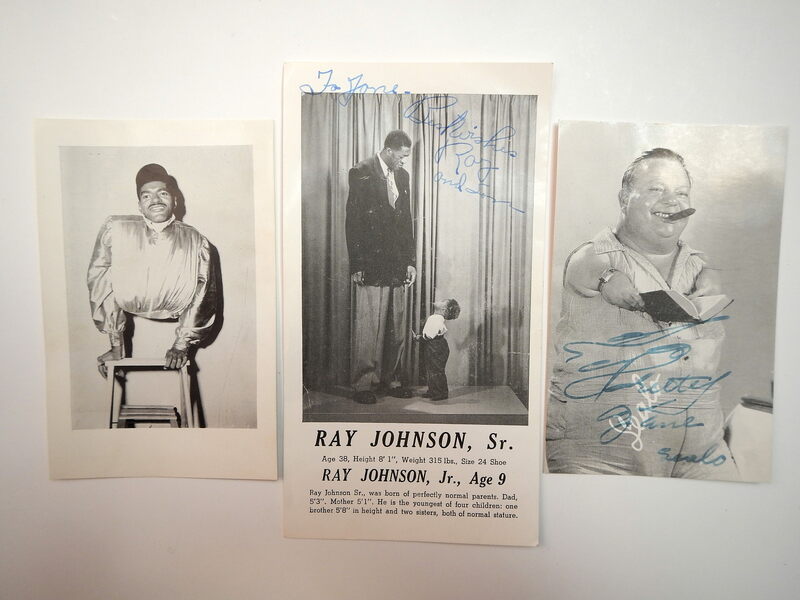 This autographed Sealo picture sold for around 70$ on Ebay while a Ray Johnson sold at auction for 17$. As a lot these should go for a decent sum. Any help reading the first man’s signature would be appreciated. 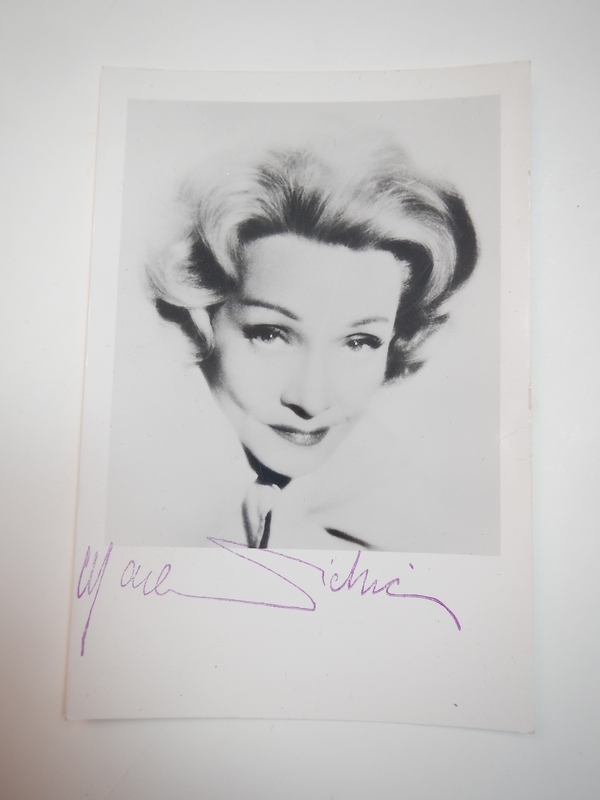 With the other signatures was this signed photo of Marlene Dietrich, a German actress famous in the early days of cinema. The Nazis at one point offered her lots of money to do films for the party but she refused and spent the war years as a prominent anti-Nazi. There’s definitely a market for this as well. This photo looks to feature Queen Elizabeth II and Prince Philip. I don’t think it’s particularly old despite being black and white as the photo paper is fairly modern. I have another picture from the same event but it’s a bit blurry. 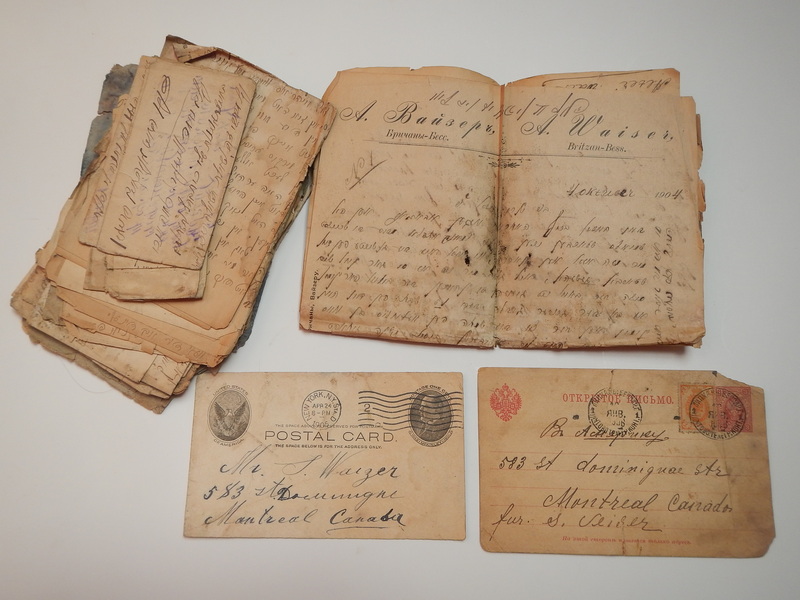 There’s still plenty to go through from the things I found that day, most notably a collection of war-time letters, telegrams, and various pre-war Nazi government documents that need to be translated. It’s fortunate that two of my room-mates are pretty good at German! I’ll let you know if anything particular interesting comes up. I continue to find interesting things at this spot near Westmount. I made sure to check it out even when I was really busy. 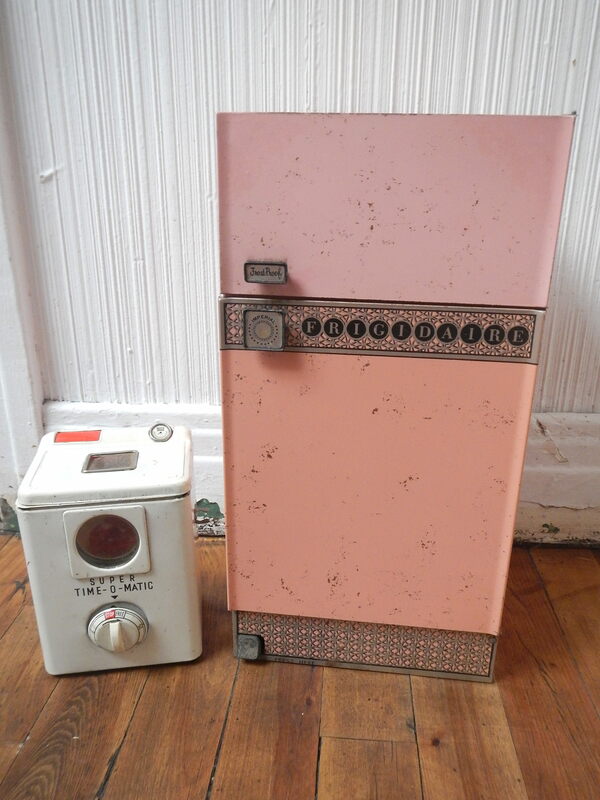 Inside an average black bag were these 1950s-era toy appliances. The washing machine take a battery, to do what with I’m not sure. The refrigerator could be fun for storage baubles in. I think these are collectible but I have some more research to do. 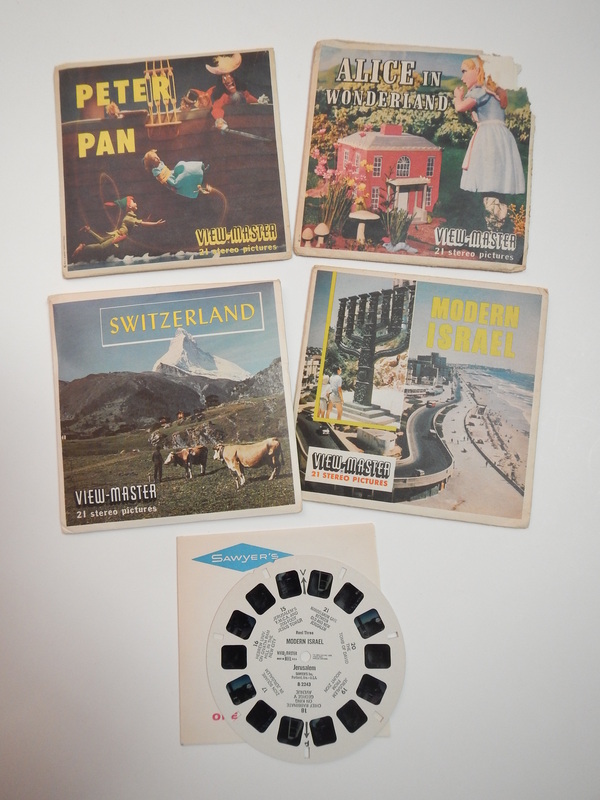 Here’s some old themed view-master slides. The packages contain little booklets and sometimes even a coin and stamp (in the case of Switzerland). They’re not worth that much, maybe 5-10$ a piece but they’re still pretty cool. I found this collection of foreign coins inside a clear ziplock bag. None are particularly exciting but I’ll add them to my collection. Some kid will like looking through it at a future yard sale. I love folk art. 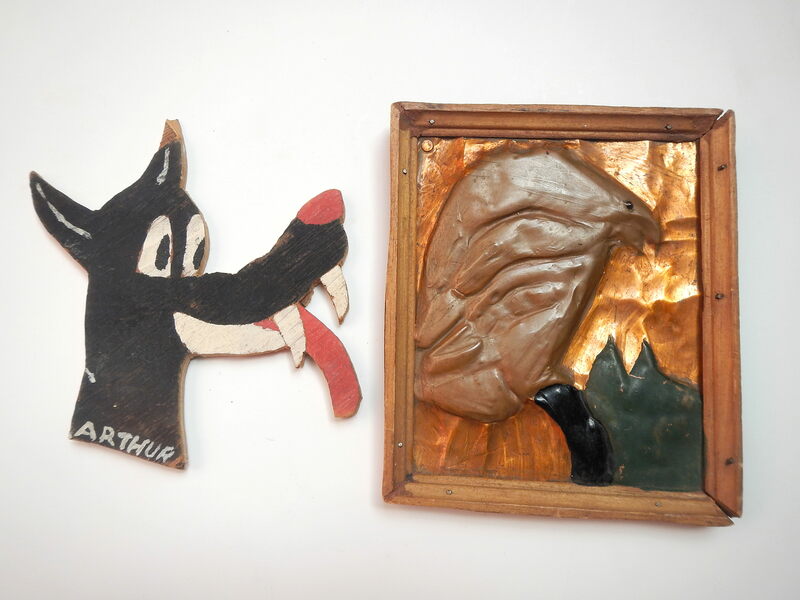 These were both made by a young boy named Arthur in the 1950s. I think I’ll keep the bird on the right and put the other in the yard sale. I’m not sure what these things are. 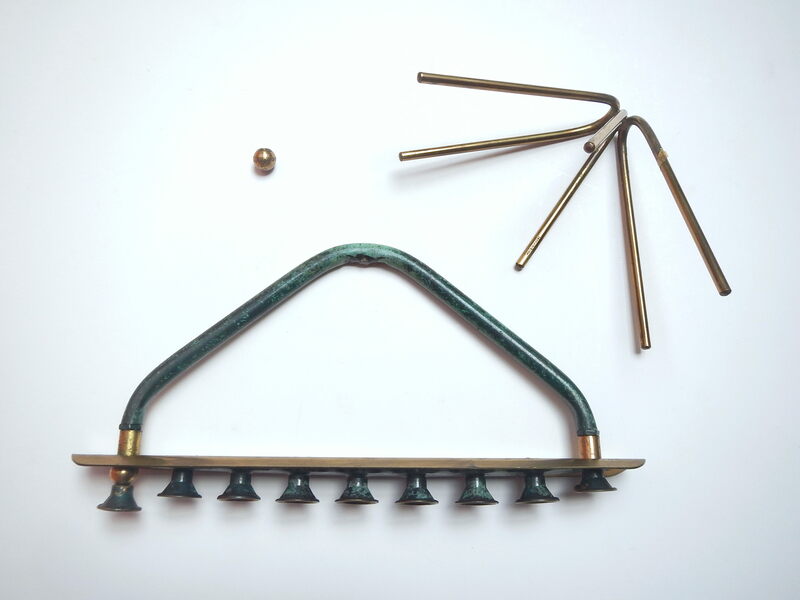 The bottom looks kind of like a candle snuffer, perhaps for a menorah? At the top right is a odd contraption marked as being made in Israel. At top left is a piece that looks like it should fit on the bottom. I’ve found a lot of books here but recently the titles are getting a bit more recognizable (and thus sell-able). 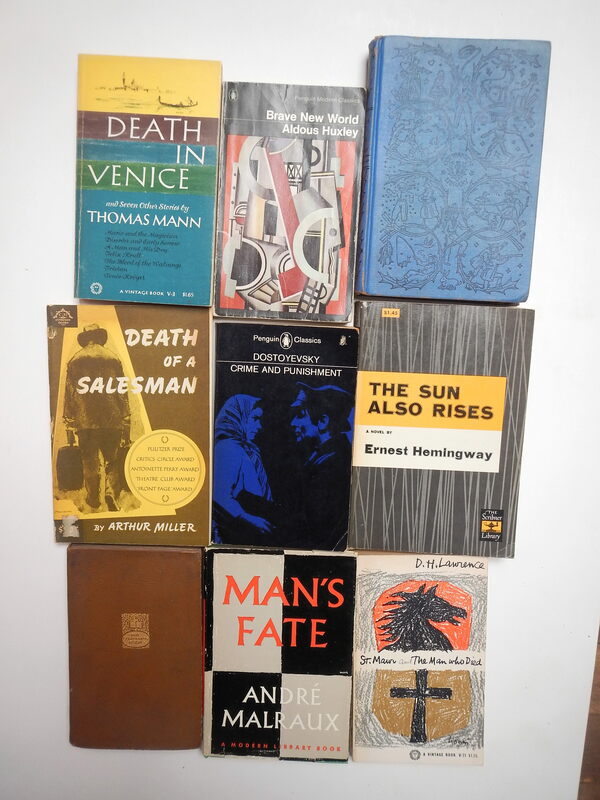 The blue book at the top is Mark Twain’s “Adventures of Tom Sawyer” while the brown at the bottom is “Gulliver’s Travels.” A small amount of books are thrown out week-to-week which I find a bit odd. 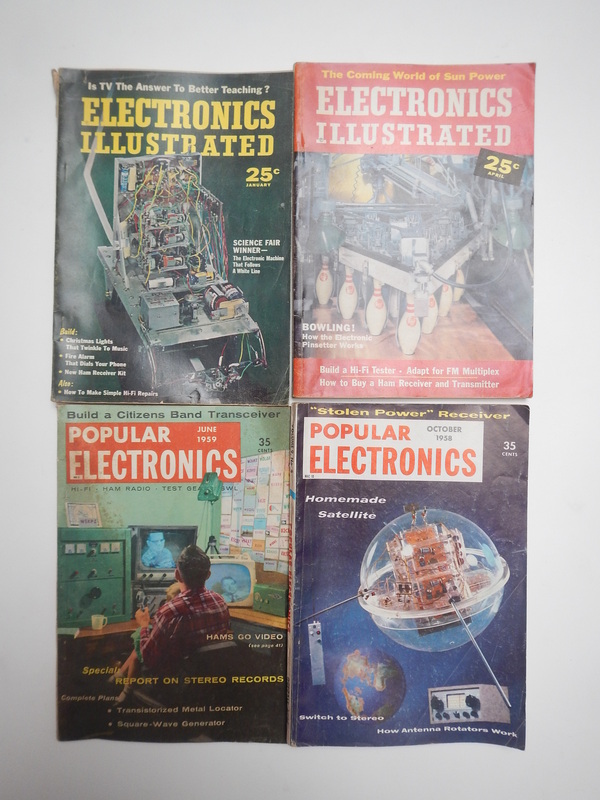 Below are some kids books and a few 1950s electronics magazines. I’ve been finding a lot of Judaica recently. I haven’t had any translation help with this old book but it seems to have been published in 1872 and features a bit of Cyrillic script. 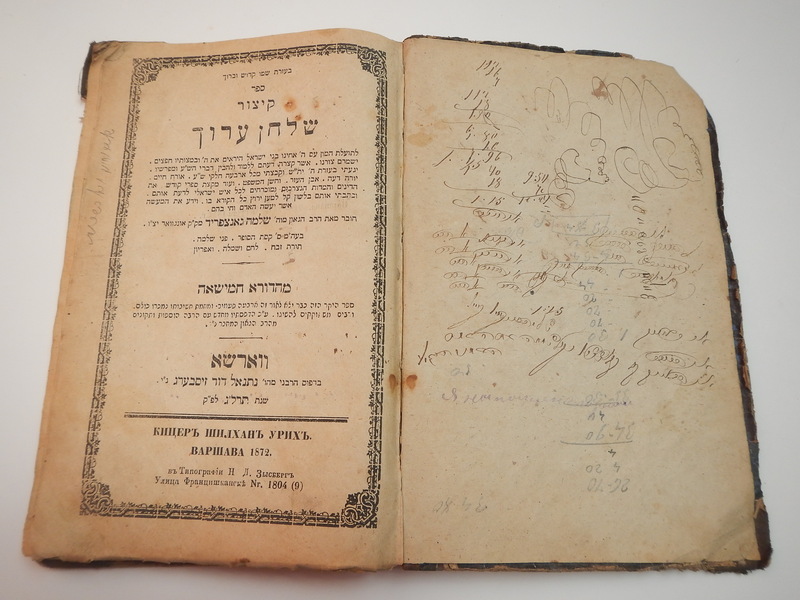 I also found a collection of Hebrew letters from the early 1900s. There could be some interesting history here, maybe I’ll see if someone can look at them. 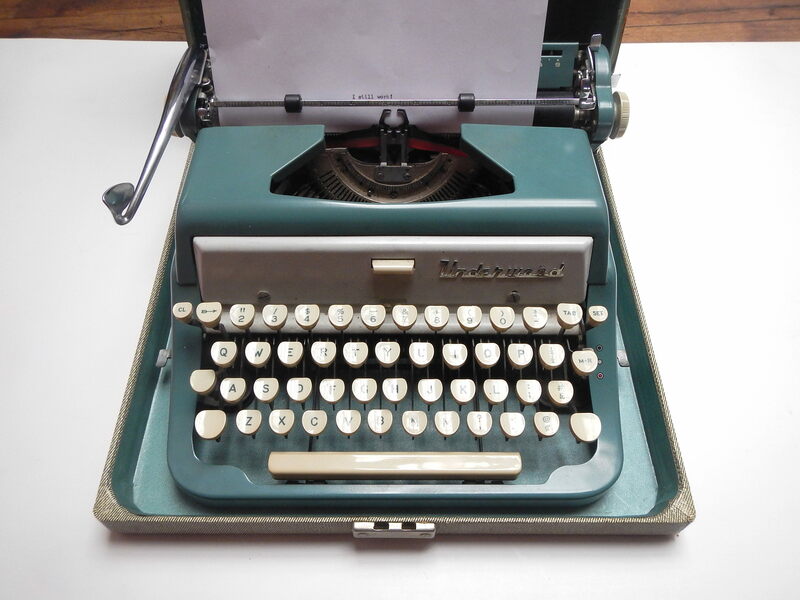 Last but not least is this old Underwood typewriter. It comes in its original carrying case which you can see sitting at the top of the pile in the first picture. It’s in great cosmetic condition and works perfectly fine. I’ll probably put it on CL for 40 or 50$. This weekend I’ll be having a yard sale at my place in the Mile End. Send me an email at thingsifindinthegarbage@gmail.com if you’re interested in coming. Next week I return to my usual job as a full-time trash picker. As usual I’ll keep you posted on my finds! I googled the full name of the medallion and found pne selling for 45$. I have zero german, but from what I could make out this is a sporting event that (still) happens every 5 years. A mini one-nation olympics I’d say. 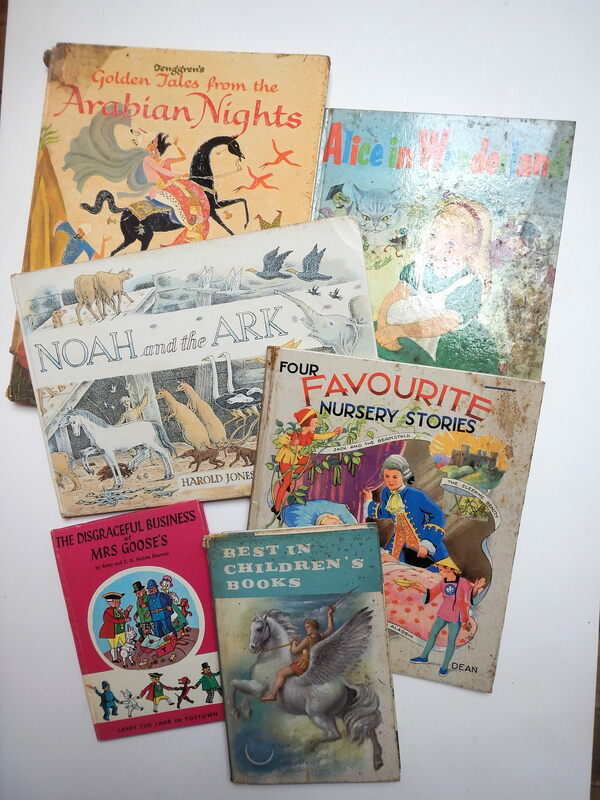 Wonderful finds! I love all this ephemera. Such a story they tell! 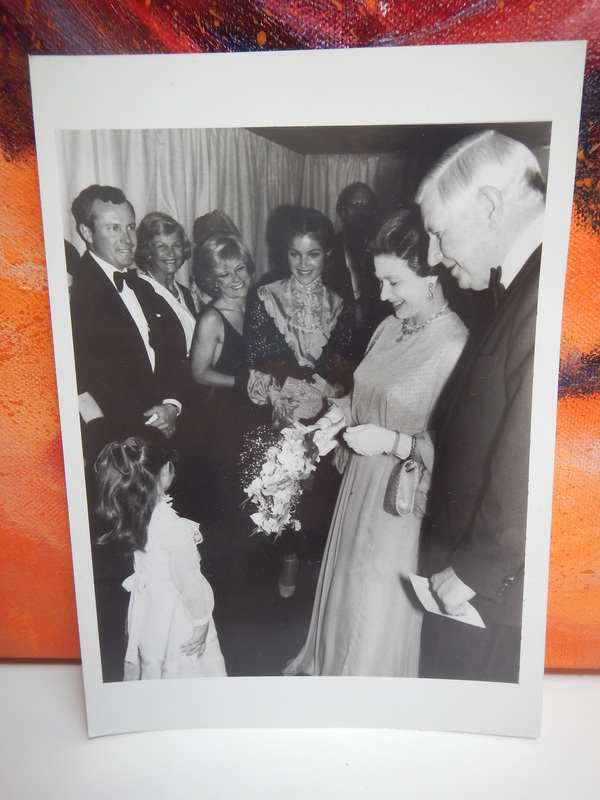 Re: the photograph with Queen Elizabeth, none of the men in the image is Prince Philip. As everyone is dressed up, I expect she was attending some cultural function. The hairstyle looks to be a pre-1960 one. The Holocaust Museum in Washington, DC, also might be interested, or the Yad Vashem Museum in Israel. 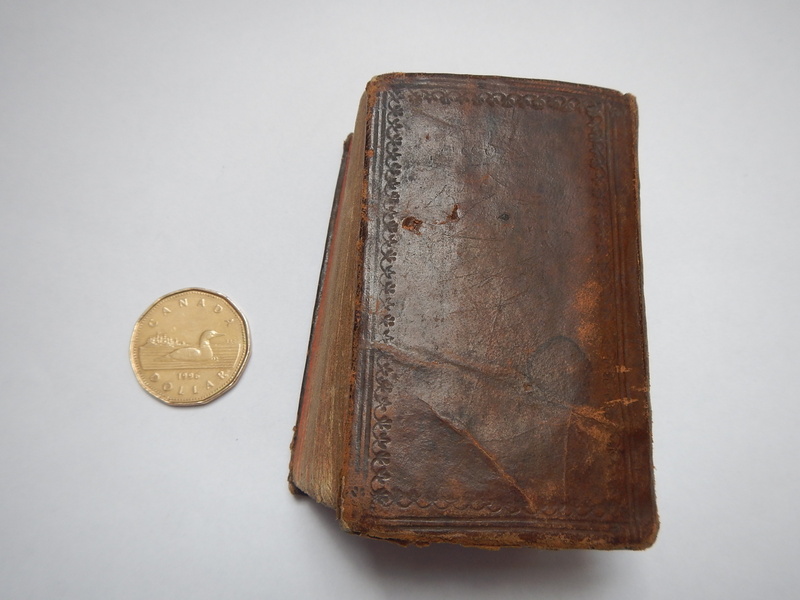 Well, a Turnfest is, according to my translator, a “festival de gymnastique” ^^ And… AMAZING miniature book !!!! Again, great finds! The picture at left says: “Bonne chance” (good luck), sincerely, Zoudan or Zondan, hard to read. There’s nothing on Internet to help. Your finds are nothing short of amazing.You are getting much better results once you started scavenging outside the Plateau and Mile End.Your discoveries on Stanley street of Jewish Nazi passports are very praiseworthy.Concentrate less on the Plateau,but more in the wealthier parts of Ville Marie borough and also in Ville D’Anjou which has many wealthy homes. Awesome! I just wanted to add in that the Canadian 1¢ coins you found are no longer produced in Canada (they stopped it last year). 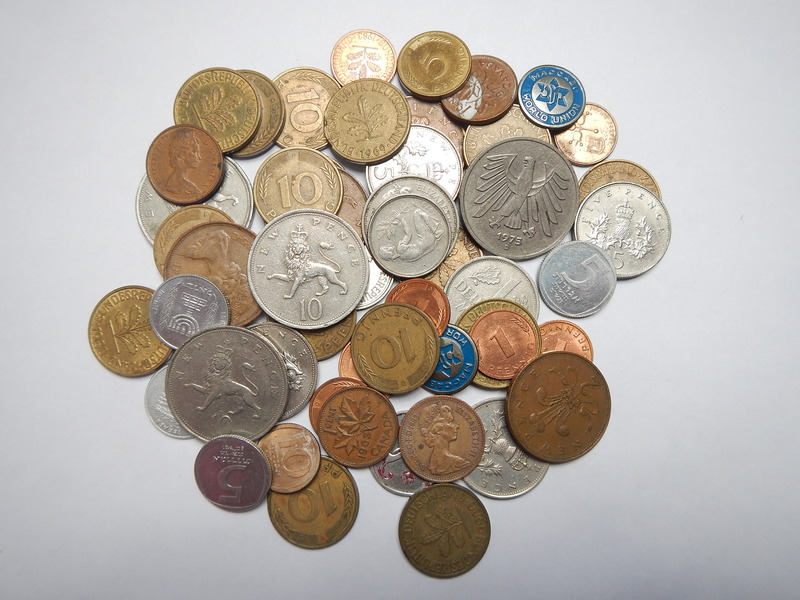 some of those coins deserve another look…… I am a numismatist(coin and money collector) and some of those coins are pretty valuable looking. That’s true, I just have so much stuff that I don’t have the time to get into selling individual coins. I think some day I might just put them up as a lot on Ebay and someone will get a good deal. going off of what I said earlier, there is(as I mentioned) a German pfenning, A few Canadian pieces, some Australian pieces, I saw a Bahamas nickel or two, and a few other ones, like a possibly Greek or Roman coin, A Chinese nickel it looks like, and those coins with the lions on them; I am not sure what they are, if I could get a shot of there OTHER side, that might help, but I am not quite sure at the moment. 4.75 for a day at Disney land? Crazy!! How much do you live on a month? Do you ever eat out? Do you go to movies? Dates? I wish I could live off junk!! I eat out sometimes but overall I don’t go out a lot. I make enough to get by relatively comfortably though my expenses (such as rent, bills etc) are fairly low. It would be much harder to do this if I were in a different city, for example or if I didn’t live with five room-mates. To make it work you basically have to be a little bit bohemian and also really good at trash picking, lol. 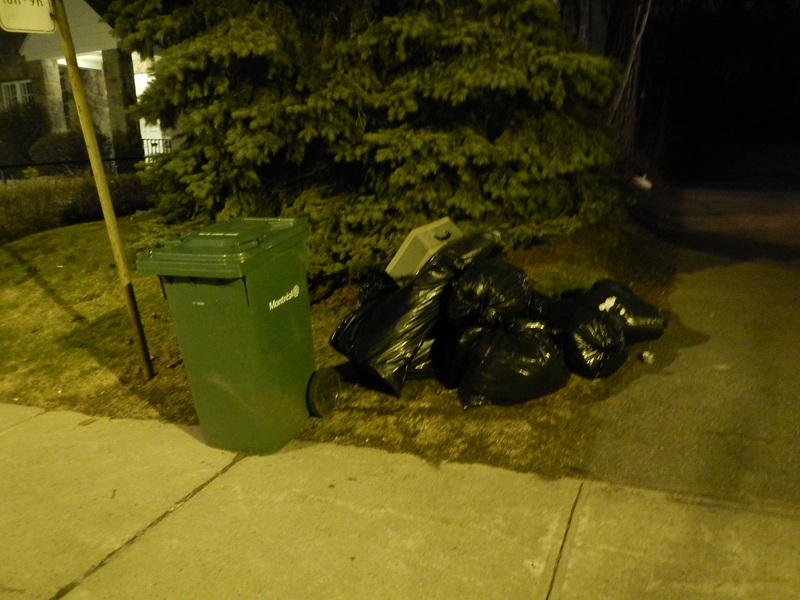 For most people I’d suggest just keeping an eye on the curb, perhaps focussing on a few nearby trash days. .I wonder what the maximum amount of money a regular bottle and can scavenger can make on a lucky day.Any ideas? I see some people with great setups (ie: bike trailer, cart of some kind, etc) sometimes who I assume make more than most. Still, I can’t imagine them making more than 20-25$ per garbage / recycling day. You could make more if you did that while keeping an eye for other things as well. 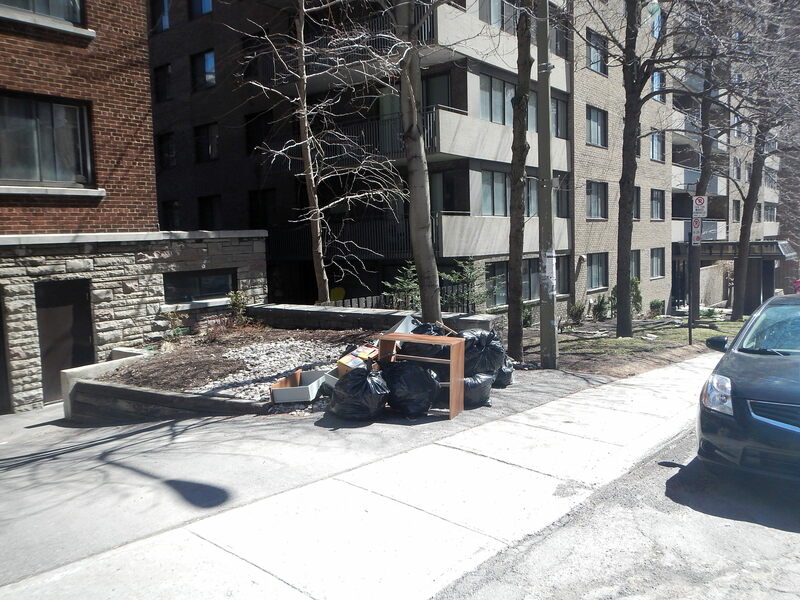 Now that you are free,I wonder which new neighborhoods you will forage in?Because you have a car you should forage in far-flung areas like Pierrefonds-Roxboro,Cartierville and Lachine.And do not forget Outremont-right next to you.Do not overlook it. Please report any finds of cold,hard cash that you make in the trash.In the past you have found currency notes in the trash on quite a few occasions. Martin,do strangers come up to you on the street sometimes and ask you outright “You must be Martin,the famous scavenger” who writes the great blog http://www.garbagefinds.com.How many people or strangers outside your neighborhood that you encounter recognize you outright?Very curious to know.Best of luck in finding more great treasures. It’s happened twice I think and not for quite some time. I wonder if others recognize me but don’t want to reveal how they know me.